The Brighton Poetry Stanza is expanding. Jo Grigg has done a fabulous job of nurturing this group over the last few years, with a diverse group of people meeting once a month to workshop their poems. There are a number of regulars and many more who come along when they can. 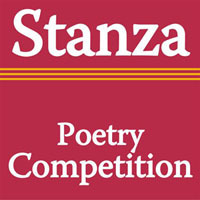 Stanzas are regional groups loosely under the auspices of the Poetry Society, but organised entirely by volunteers ‘on the ground’, and they vary in terms of what they offer – some are workshopping groups like ours, others meet less often and are structured differently. But they are open to all, you don’t have to be a paid up member of the Poetry Society. Now Miriam Patrick, one of our Brighton members, is setting up a reading group under the Stanza umbrella. The group will meet monthly at the same venue as the workshopping group (but on a different night!) with the aim of ‘close reading’ contemporary poems that members have enjoyed, possibly from Poetry Review, or other journal. The new group kicks off this coming Monday, 3rd December, at the Caxton Arms in Brighton, 7.30 – 9.30pm. I’m certainly looking forward to it – I really enjoy hearing what other people get from poems as it really adds to the experience, even sometimes turning me on to a piece that I might have otherwise given a wide berth! We’re also planning a poetry reading in Brighton – more on this in another post. To celebrate all this ‘expansion’ we’ve even launched a Brighton Poetry Stanza Facebook Page – yeeha!